No pistol is the ideal in a fight. If I know that a fight is coming, and it can’t be avoided, I want a rifle in my hands. In some situations, a shotgun would be better, but a compact rifle comes closest to serving in all situations. The handgun is a compromise when it comes to defense. Its user must balance such features as power, reliability, weight, and size, to select the best compromise to meet his particular needs. Some folks can hide a full-sized pistol with no problem, while others need a more compact package. Many years ago in Miami, I carried a Smith & Wesson Model 469 9mm pistol daily. It served me pretty well, but this new M&P Compact has the 469 beat by a long shot. It is smaller, lighter, and smoother than the old 469, and most importantly, more reliable also. The M&P Compact is smaller than I ever expected it to be, but still holds thirteen rounds of 9mm ammo. The M&P Compact is heavier, but about the same size as my lightweight J-frame five shot S&W 342PD .38 Special, yet carries eight more cartridges. The gun comes supplied with two magazines, one with and one without a finger extension on the bottom. 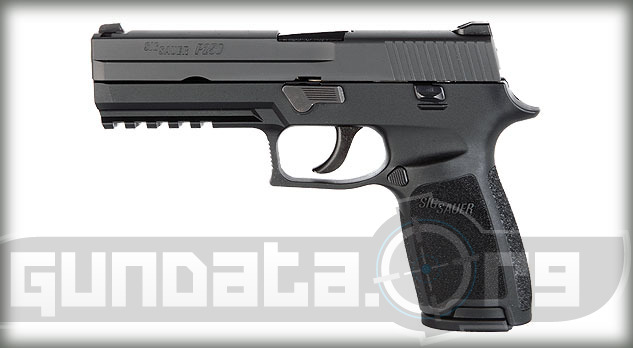 It also functions with the magazines from the full sized 9mm M&P pistols. 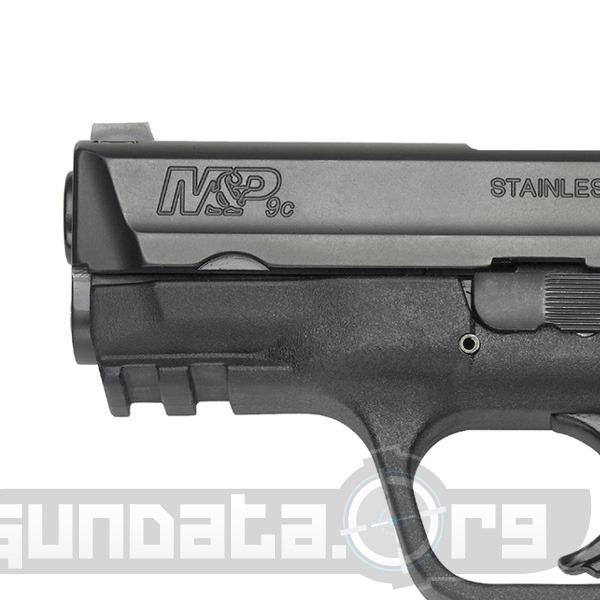 The M&P magazines are made of steel, and drop freely from the pistol when released, whether full or empty. 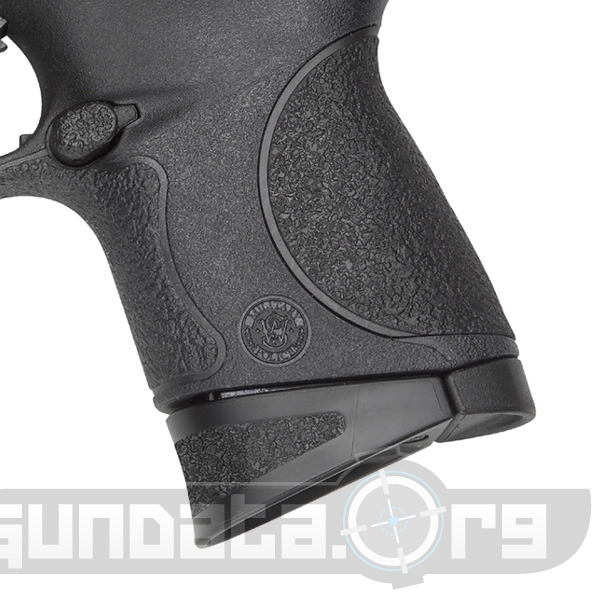 The Compact, like its big brother, has an ambidextrous slide release, and the magazine release is reversible, to accommodate both right and left-handed shooters equally. At the rear of the chamber atop the pistol is a chamber-loaded witness hole. The gun comes supplied with three grip backstraps of different sizes to fit most any hand very well.